If I see cilantro-lime in a recipe title, chances are I'm immediately saving it. It's easily one of my favorite combos, and come on - it's Mexican food. 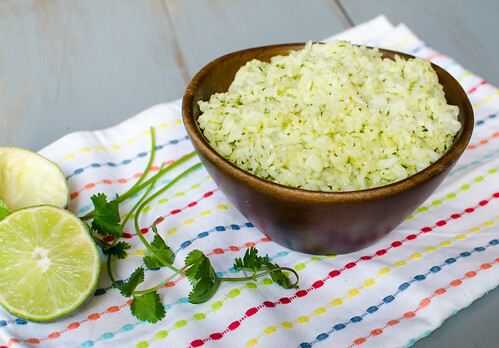 I've been making this cilantro-lime rice for a few years now, and it's one of my favorite side dishes. For some reason, the traditional red Mexican-style rice feels heavy to me, and this just feels so light and fresh. Oftentimes I even use quinoa instead of the rice, and I use brown rice sometimes too - it just depends on my mood and the rest of the meal. Any grain will do here! Also, if you're a fan of Chipotle, this is a pretty close approximation of the rice they serve! I have used this rice as the base for a burrito bowl many times, in fact. It really is one of my favorite recipes. Combine the rice, water, and 1/2 tsp salt in a medium saucepan and bring to a boil. Stir, cover, and reduce heat to medium-low. Cook 15-20 minutes, or until the rice is tender and cooked through. Remove from heat and set aside. Meanwhile, in the bowl a food processor or a blender, combine the cilantro, lime zest and juice, canola oil, jalapeño, water, and 1/4 teaspoon of salt. Puree until smooth. 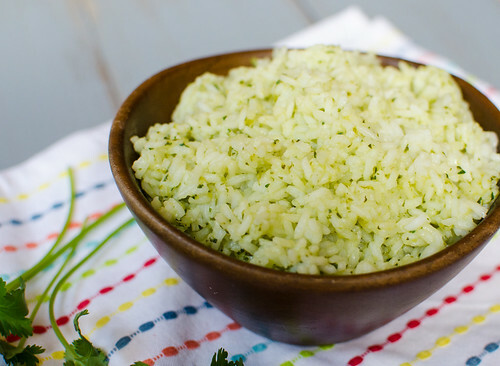 Stir the cilantro-lime puree into the rice, taste and season with additional salt and pepper if needed, and serve. *If you use another grain besides rice, be sure to read the package directions for water:grain ratio and cook times. This looks delicious! Thanks for sharing. Truly a creative dish. It looks very attractive indeed. I'm pretty confident in the taste of it. Thanks for sharing. I CRAVE this rice. Like, non-stop every day. So good!! I don't really eat a lot of rice except when I eat in a restaurant. Sounds kind of weird now that I am writing that. It's not like it's difficult to fix or that I son't have it on hand. But I am loving lime flavor these days. Plus I am always on the outlook for a side dish that is subtle when there is a meat or fish dish that is the Queen of the meal. Subtle is not the same as boring. There in lies( or is it lays) the challenge. This recipe works.